As anyone who has ridden the subway knows, the air down there is unpleasant. New research done in Canada shows that air pollution levels in Toronto’s subway system are ten times greater than those above ground. It’s a troubling realization for subway-goers, but there are ways to keep these underground systems clean. A new study led by University of Toronto chemical engineer Greg Evans and published in Environmental Science and Technology shows that trains and platforms along the Toronto Transit Commission (TTC) have the highest levels of air pollution in any of Canada’s three subway systems—10 times higher than outside air. Pollution levels in Toronto’s subway were three times worse than the air quality in Montreal’s Metro, while Vancouver was rated the cleanest of the nation’s three subway systems. To obtain these results, the researchers recruited university students and equipped them with portable instruments that measured tiny airborne particles smaller than 0.00025 centimeters, or 25 micrograms. Particulate matter this small is easily inhaled, and can cause breathing problems and damage to lung tissue. Pollution in Toronto is typically around 10 micrograms per cubic meter of air, but it can hit 30 on a bad day. Along the TTC, however, levels reached as high as 100 micrograms of pollutants per cubic meter. That’s as bad as Beijing on a typical day. A follow-up analysis showed high concentrations of metals, which offer a clue to the source of the pollution: the wheels and brakes on the subway trains themselves. “When you’re standing on the platform, you can sense the blast of air as the subway comes in,” explained Evans to Gizmodo. “That’s because the train is moving down the tunnel like a piston, pushing the air in front of it. Subways are primarily underground, so there’s nowhere for the particles to go. When the train comes into the station, it causes dust and particles to become airborne.” Evans thinks much of the particulate matter is coming from the metal wheels on the rails. Traces of barium were also found in the air samples, which are likely coming from the brakes themselves. Needless to say, this study should attract the attention of other subway system authorities around the world. To date, only a handful of subway systems have conducted similar studies, and those who have found comparable results. Evans pointed to studies done in Barcelona, Spain, and Seoul, South Korea, where pollution levels were similar to what was seen in Toronto. “I think [my counterparts in other cities] should definitely conduct similar studies if they haven’t already, and find out where their particular system stands,” said Evans. 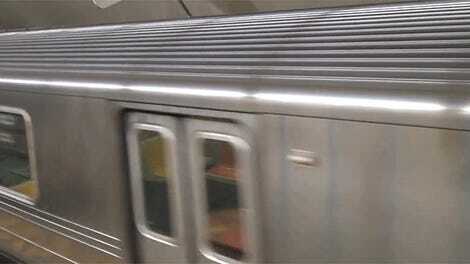 Thankfully, there are ways to keep the air in subway systems clean. Evans proposed a vacuum-like system, where cleaners would periodically go through the tunnels. Another quick fix could be for train operators to hit the brakes prior to entering the station, allowing the train to coast in. This would prevent a buildup of brake residue close to the station. 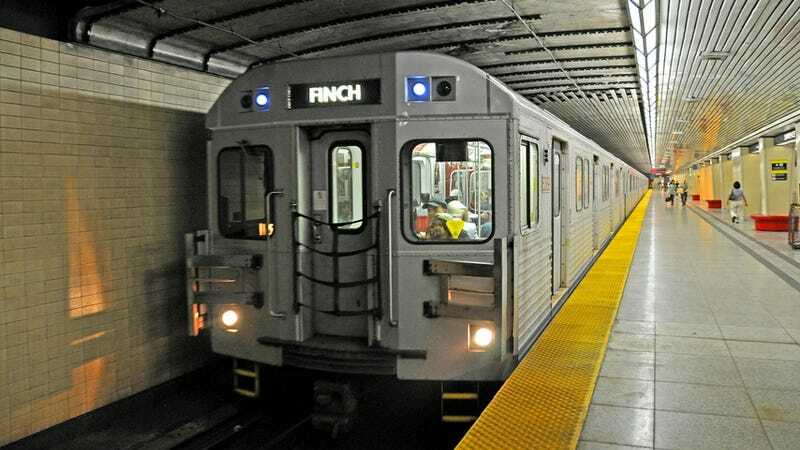 Finally, Evans says it would be a good idea to improve the ventilation systems within subways. This new study adds to our knowledge of all the nasty things that await us in subway stations. Back in 2015, researchers found 15,152 life-forms along New York City’s 466 stations. Incredibly, half of of the DNA in these microorganisms matched nothing in the scientific literature.